"I don't peel the tomatoes because there are lots of vitamins and fiber in the skin. 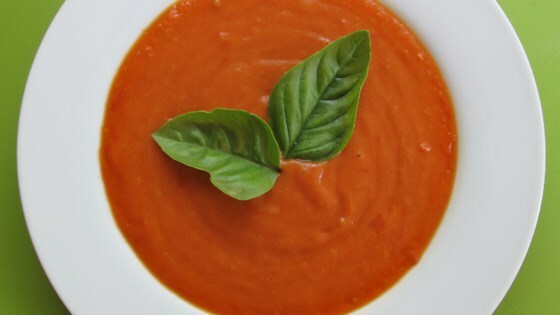 If you puree the soup well, you won't taste them. I use half cherry tomatoes, half regular tomatoes." I added a 1/2 c. of almond milk and some vegan cream cheese lowly while simmering. So good.